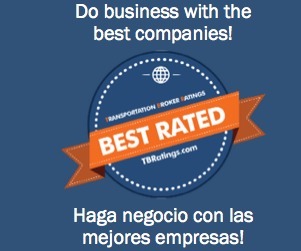 Transportation Broker Ratings » APL Mexico, S.A. De C.V.
Name APL Mexico, S.A. De C.V.
Home Best Rated, Maritime APL Mexico, S.A. De C.V.
APL provides customers around the world with ocean shipping and container transportation services through a network combining high-quality intermodal operations with the latest information technology. APL Mexico, S.A. DE C.V. has been rated as “BEST RATED” company since 2005. Siempre han cumplido con sus pagos en forma puntual. Sus ejecutivos son muy profesionales. Es una empresa muy sólida y la recomendamos ampliamente.